My first solo CD, released in May 2014, "Still" highlights collaborations between the tuba and electronic instruments (plus a few acoustic ones). Three compositions from Ariane Miyasaki, Neal Markowski, and Vanessa Wheeler. 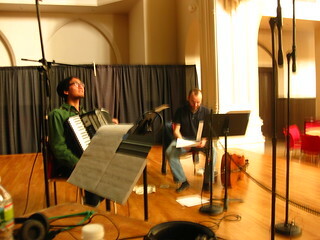 Three improvisations between Caroline Park, Neal Markowski, and myself. This CD's eponymous work, written by the late Jonathan Harvey, which is receiving its first commercial recording. Purchase on BandCamp or direct from Single Action Rider. Live performance of "Still" at the CD release party. May 16th, 2014 at Arbor Day.